Last month news broke that the final season of T.I. 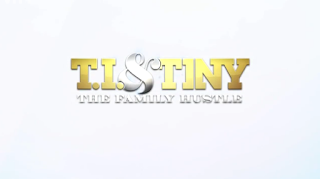 & Tiny The Family Hustle would include the break-down of the couple's marriage [click here if you missed that]. Tiny looked really pretty with that bun hairstyle. And Heiress is a cutie. Their kids afe just growing and growing. TI is an ungrateful jerk. It appears that they have an agreement. It's like they are married but act like boyfriend and girlfriend. BTW What was up with that pregnancy test...? CTFU that they used subtitles for that boy! Why aren't yall accusing them of doing all this for ratings? ^ Possible, but isn't this the Last Season anyway. She should do a spin off. @11:53- isn't the xscape reunion going to be a reality show?? That's the spin off right there. I'm slightly upset of the break up. They have an undeniable bond. But ish do get old. More power and blessings to them both.